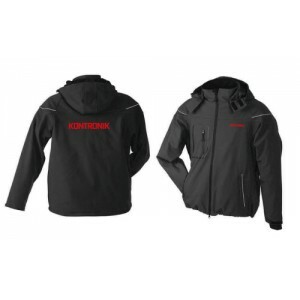 K9800 Softshell Jacket Size S KONTRONIK High quality soft shell ja..
K9801 Softshell Jacket Size M KONTRONIK High quality so..
K9802 Softshell Jacket Size L KONTRONIK High quality soft shell ja..
K98022 Softshell Jacket Size L KONTRONIK modell A High-quality soft shell jacket with KONTRONIK..
K9803 Softshell Jacket Size XL KONTRONIK High quality soft shell jacket with great desi..
K9804 Softshell Jacket Size XXL KONTRONIK High quality soft shell ..
K98041 Softshell Jacket Size XXXL KONTRONIK modell A High-quality soft shell jacket with KO..
K98042 Softshell Jacket Size XXL KONTRONIK modell A High-quality soft shell jacket with K..
K9830 T-Shirt Gr. S KONTRONIK High quality T-shirt with a great design. 100% cotton. ..
K9831 T-Shirt Size M KONTRONIK High quality T-shirt with a great design.&nbs..
K9832 T-Shirt Size L KONTRONIK High quality T-shirt with a great design. 100% cotton. ..
K9833 T-Shirt Size XL KONTRONIK High quality T-shirt wi..
K9834 T-Shirt Size XXL KONTRONIK High quality T-shirt with a great design.&n..
K98341 T-Shirt Size XXXL KONTRONIK T-Shirt High quality T-Shirt with KONTRONIK design. Print..
K98401 Drinking bottle (Mizu) KONTRONIK The cool KONTRONIK bottle. 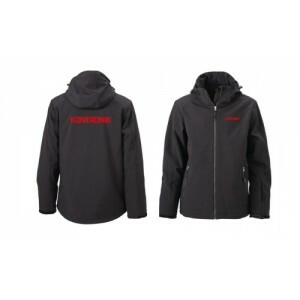 Matt black with red KONT..
K9841 Polo Shirt Size S KONTRONIK High-quality polo shirt in KONTRONIK design. 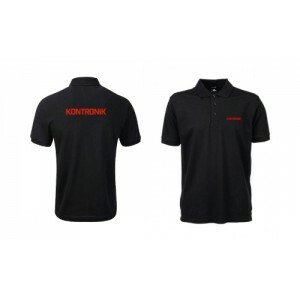 Print on chest and..
K9842 Polo Shirt Size M KONTRONIK High-quality polo shirt in KONTRONIK design. Print on chest and..
K9843 Polo Shirt Size L KONTRONIK High-quality polo shirt in KONTRONIK design. Print on chest and..
K9844 Polo Shirt Size XL KONTRONIK High-quality polo shirt in KONTRONIK design. Print on chest an..
K9845 Polo Shirt Size XXL KONTRONIK High-quality polo shirt in KONTRONIK design. Print on chest a..